NEW YORK—Mayor Bill de Blasio today announced the Caring Neighborhoods initiative, a transformative new program that will significantly increase primary care access for thousands of residents in underserved neighborhoods across New York City. 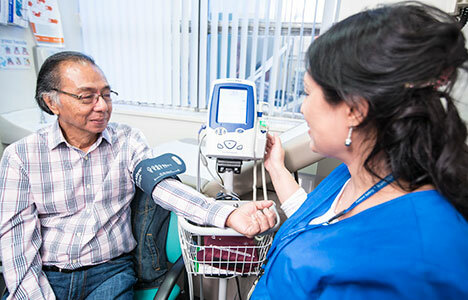 Spearheaded by the New York City Health and Hospitals Corporation and the New York City Economic Development Corporation, Caring Neighborhoods builds primary care capacity in neighborhoods where for decades over a million New Yorkers have faced limited options for convenient and affordable health care services. Over 100,000 new patients will be able to receive care in their own neighborhoods thanks to the community health centers expanded through Caring Neighborhoods – part of the Administration’s plan to expand access to primary care health and provide high-quality and comprehensive healthcare services to any city resident, regardless of ability to pay. The City committed $20 million over two years in its FY16 budget to cover pre-development and start-up operating costs for new health centers. Both NYCEDC and HHC’s expansion efforts target high-need neighborhoods throughout the City that lack adequate access to medical care. These neighborhoods were determined through a City-commissioned analysis conducted by the Community Health Care Association of New York State, with supplemental areas identified at the recommendation of the New York City Department of Health and Mental Hygiene. Today, CHCANYS is releasing an update to its 2013 report, titled Expanding Sustainable Community Health Centers in New York City, which assesses all city neighborhoods for their need for additional primary care services, and factors contributing to the sustainability of new clinics. "Investing in strong and vibrant neighborhoods is a key piece of our mission, so we are proud to help bring critical healthcare infrastructure into neighborhoods across the City," said NYCEDC President Maria Torres-Springer. "The Caring Neighborhoods initiative will bring quality healthcare services to underserved communities in all five boroughs, making our residents healthier and the City a more equitable place for everyone." "The Health Department wants every neighborhood to be the healthiest it can be, and expanding and increasing access to primary care for New Yorkers will produce better neighborhood health outcomes in the long term," said Health Commissioner Dr. Mary T. Bassett. "Caring Neighborhoods, rooted in the expansion of our sterling public hospital system's clinics, will offer many the opportunity to remain in their neighborhood and receive excellent care." The Caring Neighborhoods Initiative will provide direct support for both the creation of five new HHC primary care centers in Manhattan, Queens, Brooklyn and Staten Island, and to expand services at six existing HHC primary care centers in high-need neighborhoods in the Bronx, Brooklyn and Queens. New and expanded services will start in mid-2016 and will be completed by end of 2017. The City is providing $12 million in capital support. The new and expanded access to healthcare services in high-need neighborhoods also contribute to Dr. Raju’s plan, announced in April, to bring financial stability to HHC in part by increasing the number of New Yorkers it serves to 2 million annually. The expansion of primary care availability through new and expanded HHC health centers also directly supports HHC’s long-term financial goal of stabilizing its budget in future Fiscal Years by expanding its patient base and improving patient retention through better access to care and improved patient experience at HHC facilities. HHC will seek approval for the new centers to become part of HHC’s Gotham Federally Qualified Health Center (FQHC) Look-Alike Gotham Health, which currently comprises 40 primary care delivery sites serving more than 140,000 New Yorkers. As part of Caring Neighborhood’s strategic approach to expanding primary care, NYCEDC’s Community Health Center Expansion Program will provide a range of support to FQHCs and FQHC Look-Alikes (collectively health centers). This Program will support the over 30 non-profit health centers that already provide high-quality primary care and are looking to expand their services in the highest need neighborhoods. The Program seeks to accelerate the creation of these health centers by making available on a competitive basis up to $8 million in grants, real estate assistance to help identify new health center sites in underserved neighborhoods including potentially City-affiliated properties, and one-on-one technical assistance, among other benefits. Wednesday, NYCEDC released two Requests for Proposals open to FQHCs and FQHC Look-Alikes in New York City. The two RFPs address the diverse needs of health centers at different stages of development, and will provide selected health centers with pre-development and operating support on a competitive basis. Grants and assistance are expected to be distributed starting in March 2016, with construction occurring throughout 2016 and 2017. Beginning in January 2016, NYCEDC will also host a training series open to all health centers in the city, regardless of their interest in the competitive application process. Caring Neighborhoods is part of the Administration’s commitment to reduce health disparities, and complements DOHMH’s initiative to support the integration of public health and primary care in high-need neighborhoods by revitalizing its underutilized buildings to co-locate community-based organizations, providers of medical, dental and mental health services. It also complements the Administration’s work to improve healthcare access for immigrant New Yorkers, as recently detailed in a report by the Mayor’s Task Force on Immigrant Health Care Access. As noted in the report, Federally Qualified Health Centers (FQHCs) are critical healthcare safety-net providers, delivering culturally competent primary care in community-based settings in neighborhoods with high concentrations of immigrant New Yorkers. "Far too many of Brooklyn's neighborhoods face challenging diagnoses regarding the public health of our residents, and it is critical that comprehensive and holistic treatment plans are enacted. Access to affordable primary medical care is one of our more significant obstacles, which is why I'm pleased to see the de Blasio administration invest in new HHC primary care services at the DOHMH Bedford Health Clinic that will serve the people of Bedford-Stuyvesant and Crown Heights, as well as HHC's expansion of service at existing clinics in Brownsville, Bushwick, Crown Heights, and East New York. Furthermore, I encourage health centers in high-need areas across Brooklyn to apply for the NYCEDC's RFPs that will further support these important local assets. I look forward to partnering on additional community treatment efforts that bring all relevant City agencies to the table, with the single goal of making Brooklyn a safer place to raise healthy children and families," said Brooklyn Borough President Eric Adams. “Communities like my own in Queens which are in high need of healthcare services will be well-served by the expansion of these facilities. Access to high-quality primary care is the right of every New Yorker, and I applaud Mayor de Blasio for his investment in the health of our residents,” said Council Member Julissa Ferreras-Copeland, Chair of Committee on Finance. "I applaud Mayor de Blasio, the NYC Health and Hospitals Corporation, and the NYC Economic Development Corporation for spearheading the Caring Neighborhoods initiative. Many residents in the Bronx and Manhattan neighborhoods, as well as other areas in New York currently do not have adequate access to primary care. By expanding it to our community where there is high need and demand, we will be one step closer to providing quality and comprehensive healthcare services to all of New York City residents, regardless of their ability to pay," said Congressman Charles Rangel. "Many of our city's residents, including some in my district, live in areas where they have limited primary health care options. As a member of the Energy and Commerce Health Subcommittee in Congress, I know how vital access to primary care is, not just to cure illnesses but for preventative care as well. Everyone deserves quality care, and I applaud Mayor de Blasio for having the vision to create the 'Caring Neighborhoods' initiative to help meet the needs of these underserved communities," said Congressman Eliot Engel. “Every family, regardless of economic background, deserves access to quality health care. This new program will expand access to primary care and address health disparities in our city by targeting underserved areas, including six Bronx neighborhoods. 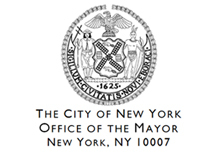 I thank and applaud Mayor de Blasio for prioritizing an issue that is extremely important for our community,” said Congressman José E. Serrano, Sr.
“The recent release of the City Health Department’s Community Health Profiles highlighted some discouraging disparities between communities with regard to overall health of north Brooklyn residents and their access to quality healthcare. When the life expectancy of New Yorkers living within miles of one another varies by as much as a decade, that’s a problem. Mayor de Blasio’s Caring Communities will begin to bring accessible and affordable primary care services to families who are in desperate need of basic healthcare," said Senator Martin Malavé Dilan. “The need for affordable health care throughout our city is an ever present one. That makes initiatives like Caring Neighborhoods a critical component in our efforts to ensure that all communities have access to proper health care. I applaud Mayor de Blasio and his administration for making the expansion of this program possible and putting the best interest of all New Yorkers first,” said State Senator Kevin Parker. “Staten Island has long endured a health care deficit. This announcement is encouraging to me, that the city is recognizing what all Staten Islanders have known for a long time. This investment in primary care will be a welcomed change,” said State Senator Diane Savino. "The communities I represent in the South Bronx and East Harlem suffer from some of the worst health disparities in New York State. While there are many factors contributing to these alarming statistics, access to quality healthcare is one of the leading causes. I applaud Mayor de Blasio and his Caring Neighborhoods initiative for bringing quality health services into the communities that need them the most," said State Senator José M. Serrano, Jr.
"The Caring Neighborhoods initiative is an investment in our health care system and, more importantly, an investment in the people of New York City," State Senator Toby Ann Stavisky said. "For too long, access to health care was dependent on socio-economic background and geographical location, deterring many in under-served areas from seeking out physicians. In my own district, not only will greater access to primary care be vital in ensuring the health of our families, but it will also lead to fewer people relying on the already heavily tolled hospitals and emergency rooms. I applaud the New York City Health and Hospitals Corporation, the New York City Economic Development Corporation for spearheading the initiative and Mayor de Blasio for championing it." "The Caring Neighborhoods Initiative will help make sure thousands of New Yorkers in underserved communities are able to manage their health more effectively by providing them direct access to affordable and quality primary medical care," said State Senator Gustavo Rivera. "This program will not only create and expand HHC primary care centers and healthcare services across the five boroughs, but it will also help combat the health disparities that continue to plague minority communities. I thank Mayor Bill de Blasio, NYEDC and HHC for these valuable efforts and, in particular, for expanding these much needed services in Fordham, Crotona, Tremont and Morrisania." "It is wonderful to see this part of Mayor de Blasio’s and President of HHC Dr. Ram Raju’s vision for expanded healthcare throughout all of New York City, but especially in my district in parts of East Flatbush and Flatbush where there is definitely a need,” said Assembly Member Rodneyse Bichotte. “Accessible, high-quality healthcare is a basic human right and we are fortunate in this city that we have a public healthcare system, which makes care available to people regardless of their ability to pay." “Like all New Yorkers, Bushwick and Williamsburg residents need quality care within their own communities. We have many excellent providers who have been serving the community for decades and who have advocated for increased healthcare access for their patients. I am grateful to Mayor de Blasio for recognizing this need and making the commitment to increasing community healthcare options for our families,” said Assembly Member Maritza Davila. "A healthy quality of life is so important. Congratulations to Mayor de Blasio and his team for recognizing and doing something about the health needs of Queens residents," said Assembly Member Catherine Nolan, chair of the Assembly's education committee. "It is particularly important to bring these services to families so our children can enjoy good health in school." “Healthcare services are critical to Sunset Park’s ability to meet the demands of our community’s growing population. I commend the Mayor for this initiative to expand quality healthcare access. Today’s announcement is a major step toward ending the ‘healthcare desert’ many of my constituents face. The targeted high-need neighborhoods, which include Sunset Park, will receive two-fold benefits from this ‘Caring Neighborhoods’ initiative: better access to healthcare and jobs creation. With the City’s capital support, this plan should proceed as quickly as possible,” said Assembly Assistant Speaker Felix W. Ortiz. “I applaud the Mayor and the DOHMH for the Caring Neighborhoods initiative. This program will give many of the people battling healthcare inequity in East Harlem direct access to much needed primary care services,” said Assembly Member Robert Rodriguez. "I am very excited about the Caring Neighborhoods initiative. This effort will increase the opportunity for our residents to access quality care at the most appropriate stage, in a primary care provider's office, not the emergency room. The New York City Health and Hospitals Corporation has been at the forefront of caring for many underserved communities in our city for decades. They will get it right," said Council Member Maria del Carmen Arroyo. "I applaud Mayor de Blasio for launching the Caring Neighborhoods Initiative to ensure that thousands of New Yorkers receive much-needed access to healthcare facilities. Primary healthcare is a basic human right, and too many New York City residents currently lack adequate access. Preventative care in particular has been linked to significant improvements in overall health outcomes. I am confident that the addition of affordable and accessible health centers in underserved areas will have a positive impact on our communities,” said Council Member Fernando Cabrera. Council Member Costa Constantinides, said, "I am proud that the Caring Neighborhood Initiative will bring high-quality primary care to our communities that need it most. Many of our city’s residents do not have accessible and affordable primary care services in their neighborhoods and this initiative will help change that paradigm. Quality healthcare is important as our communities grow and flourish. I commend Mayor de Blasio, the NYC Economic Development Corporation, and the NYC Health and Hospitals Corporation for their leadership on this important issue." "Far too many residents of central Brooklyn rely on emergency rooms to manage chronic health problems, which leads to poor individual outcomes and problematically high health care costs. Embedding a new and accessible primary care option in the community will lead to better care for my constituents and should allow our emergency care providers to focus on their core missions. I welcome the addition of a Caring Neighborhoods center to serve Bedford-Stuyvesant and Crown Heights," said Council Member Robert E. Cornegy. "Every day, low-income New Yorkers suffer from preventable medical emergencies simply because they cannot afford to see a primary care physician regularly," said Council Member Daniel Dromm. "I want to thank Mayor de Blasio for launching the Caring Neighborhoods initiative, which will bring primary care and comprehensive healthcare services to West Queens and other neighborhoods that are traditionally underserved. I am proud to support this program that brings us closer to ensuring that all New Yorkers have access to quality health care, a basic human right." "I am glad to hear that communities like mine will finally be targeted for improved health care services under the Caring Neighborhoods Initiative. There are a lot New Yorkers, including many in my district, who have gone far too long without quality primary health care simply because they live in under-served city areas. This initiative will help close that gap and allow residents in these areas to seek the health care that they need in order to live much healthier lives. I would like to thank Mayor de Blasio for putting forth such a bold and ambitious plan. It is one that is long overdue and necessary,” said Council Member Rafael L. Espinal, Jr.
“For New Yorkers with limited incomes and poor access to mass transit, a trip to the emergency room has replaced a visit to a local doctor. Not only does this put a strain on medical professionals tasked with handling urgent and traumatic cases, but it prevents these New Yorkers from receiving regular checkups and preventative care. I am thankful to Mayor de Blasio for recognizing that access to primary care doctors is a pillar of a healthy communities and for partnering with HHC to bring these important services to neighborhoods where they are needed most,” said Council Member Vanessa Gibson. “Access to quality primary health care is the first line of defense in preventing, diagnosing, and treating health problems before they become life threatening, causing admission to a hospital emergency room. The most critical step in connecting people to quality health care is through a primary care provider, and for many Bronxites, this is an option not readily available. I’m glad that the New York City Health and Hospitals Corporation, and the New York City Economic Development Corporation, have developed The Caring Neighborhoods Initiative, and will establish five new HHC primary care centers throughout the city. This is the first step in addressing the inequities in healthcare access throughout the city,” said Council Member Annabel Palma. “I want to thank Mayor de Blasio for championing this initiative to support healthy neighborhoods. Williamsburg and Bushwick have high levels of emergency room visits, often a result of a lack of access to primary care services. This investment is a great step toward improving community health,” said Council Member Antonio Reynoso. "A healthier New York is a better New York. With expanded primary care services to the neediest New Yorkers we will be able to prevent illness and stay healthy. Only a few years ago hospital after hospital began to close, I applaud Mayor de Blasio for expanding health access. This initiative will go a long way in extending the lifeline to working and middle class New Yorkers," said Council Member Ydanis Rodriguez. "Health care is a fundamental human right, and yet too many New Yorkers lack access to basic, comprehensive health care services. This Caring Neighborhoods investment in several New York City neighborhoods – including the North Shore of Staten Island – will pay dividends in the health and well being of countless Staten Island families. This investment benefits all of us, even those who already have access to quality health care, because when all individuals can access quality care, we have a healthy, well-functioning, economically robust city," said Council Member Debi Rose. “Access to affordable primary healthcare has always been a concern for Bronx residents. The Mayor’s new initiative is an ambitious and exciting step in the right direction to ensure that vulnerable communities receive the health treatment and programs they need. I look forward to working with the Administration to ensure that these new programs make positive changes in the Bronx,” said Council Member Ritchie Torres. “Healthcare is a right, not a privilege, yet countless constituents in my district and beyond lack the adequate insurance they need. I applaud the Administration for rolling out this Caring Neighborhoods initiative, which will undoubtedly improve the health and wellness of our neediest New Yorkers,” said Council Member Jumaane D. Williams, Deputy Leader. "For a quarter of a century, CPHS has been advocating for communities to have better access to quality primary and preventive health care services. This administration, and particularly HHC, is going the extra mile in acknowledging the problem of health inequalities by offering these much needed resources to ensure primary care in historically underserved neighborhoods," said Anthony Feliciano, Executive Director of the Commission on the Public's Health System. "The City's investment in high-performing primary care is right on target," said Andrea G. Cohen, Senior Vice President for Program at United Hospital Fund. "Enhancing access to quality primary care is a key strategy for improving the health of New Yorkers and, evidence suggests, for reducing the health disparities that are so persistent across New York." “We are very happy that the Caring Neighborhoods Initiative will be targeting high need areas in the Bronx. Bronx County ranks last out of all New York State counties for nearly every health indicator. But BronxWorks works hard – in partnership with the City, local medical centers, and other community based organizations – to improve health conditions in the Bronx, as well as related factors that contribute to poor health, such as education, employment, and housing,” said Daniel Senes, Development Manager of BronxWorks. "New York's African immigrant communities often face particular barriers to accessing care, including language, culture, and simply having the right information. That makes this initiative particularly important for our community. Proactive outreach, especially in the Bronx and Harlem, will make sure that our communities get the care they need and deserve," said Amaha Kassa, Executive Director of African Communities Together. "The Coalition for Asian American Children and Families is pleased to support the ‘Caring Neighborhoods’ health initiative. There are many health equity issues and one that greatly affects the Asian Pacific American community is access to affordable quality care. Many in the Asian Pacific American community are not able to access quality health care centers. This new initiative will invest health resources where many APA children and families reside and will help them to have greater access to greater health care,” said Sheelah A. Feinberg, Executive Director of Coalition for Asian American Children and Families. “We are delighted to hear about the Mayor’s new ‘Caring Neighborhoods’ Initiative,’ which will improve health care access for our most vulnerable community residents, including immigrant New Yorkers in East Flatbush. The Caribbean Women’s Health Association will continue to work with the New York City Health and Hospitals Corporation and our local Federally Qualified Health Centers to insure that all New York City residents, regardless of immigrant status or ability to pay, have the same access to high quality healthcare services,” said Cheryl Hall, Executive Director of the Caribbean Women’s Health Association, Inc.
“The Staten Island Family Health Care Coalition applauds the vision of HHC to bring primary care to underserved areas across the city, including Staten Island. The Coalition has a long history of working with HHC to make health care accessible to the most marginalized and least medically served communities. Primary care centers with low threshold and nominal cost health care is critical to developing the preventive health care and health promotion and health education in Staten Island families most at risk for chronic diseases,” said Terry Troia of Project Hospitality. “I applaud the City’s efforts to increase access to quality primary care throughout the City. Many of our communities face stark health disparities, and the launch of Caring Neighborhoods directly addresses this issue. As a health committee convener for the Mayor’s Clergy Advisory Council, I will work tirelessly to ensure communities of faith receive equitable access to primary care services,” said Reverend Cheryl Anthony, Founder of the JUDAH International Christian Center.